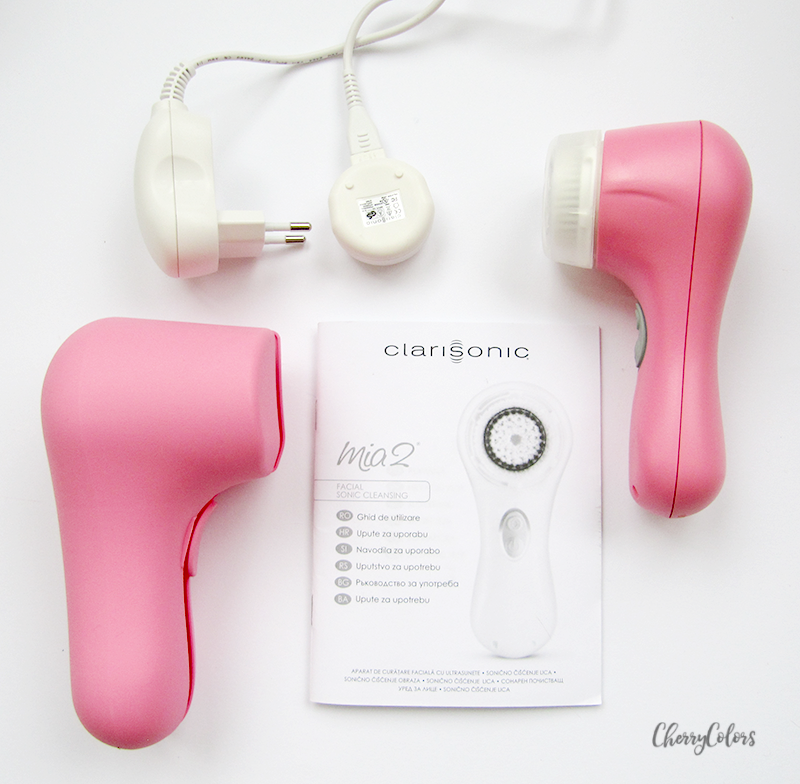 Clarisonic Mia 2 - is it worth the price? - Cherry Colors - Cosmetics Heaven! 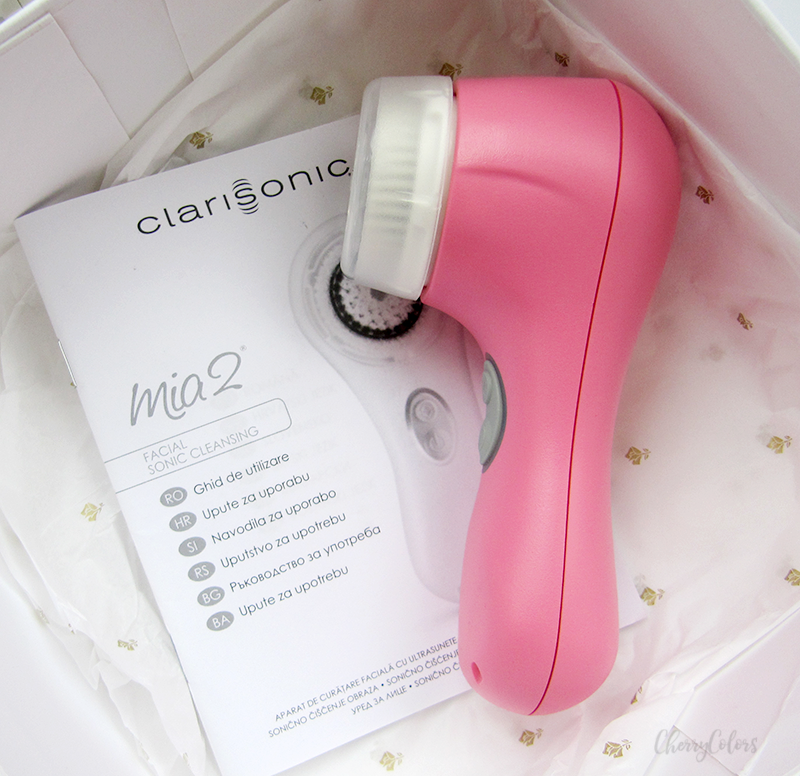 Clarisonic Mia 2 - is it worth the price? We've all heard of the infamous Clarisonic Mia. It's been a cult product for a while now and I, of course, was ecstatic when I was given the chance to test it for a limited period. 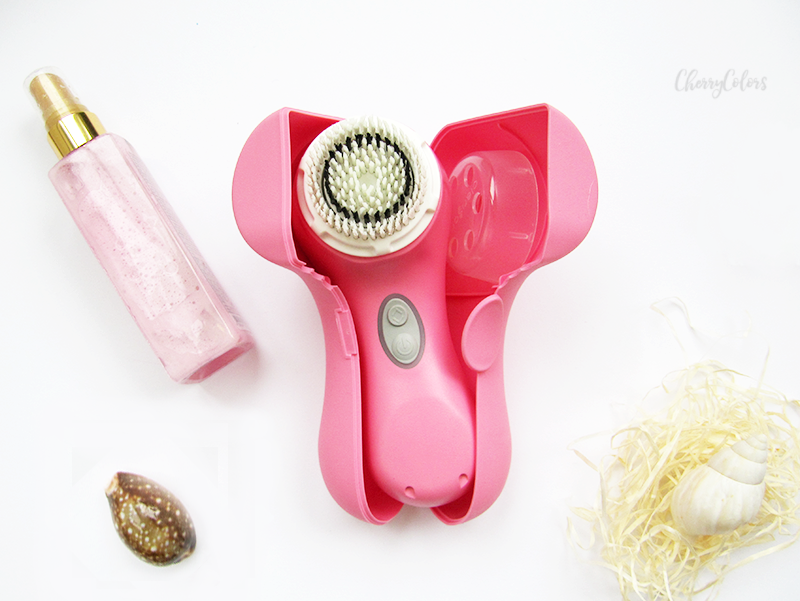 Ladies and gentlemen, let me introduce you to Clarisonic Mia 2. 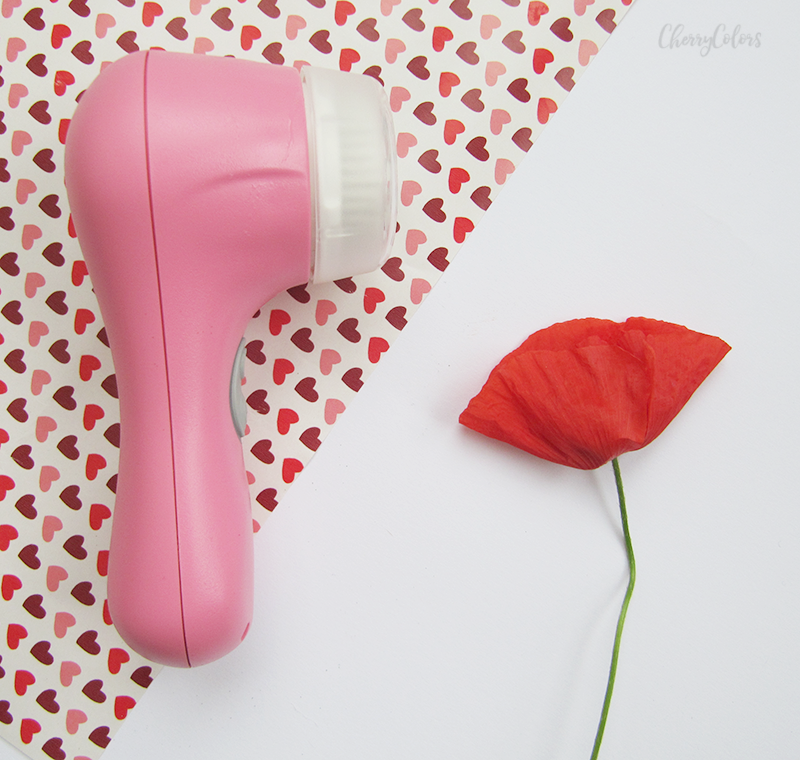 So, okay, it's a cleansing brush for your skin. I have tested two others before (Oriflame and Avon) and I wanted to see how the original one does compare to the other two. In the box you get: The instructions, a lovely travel case which is also pretty sturdy, a magnetic charger and the Mia 2. I got it in pink and it's a beautiful deep pink. I must say that I really did like the magnetic charger. Because the cleanser is hermetically closed, you can use it even while taking a shower! I started by using it every single evening. But my skin is sensitive and thin and all the "rubbing" made it irritated. I think it's because of the brush head (these weren't the "sensitive" bristles) and my excessive circling while washing my face. That's why I later switched to using it about 1-2 times per week. And that's when I started noticing the first results. Okay, yes, it does clean off makeup exceptionally well. It must be the sonic vibration because damn, the makeup just kind of melted off my skin. I needed less rubbing/circling while I was using it. But that's not the thing I liked the most. No. The thing that "bought me" was the effect the sonic pulsation had on my pores. And I'm not even joking. After using it for a week, I noticed that my always enormous pores looked so much smaller and cleaner. Of course, I can say that a lot of the job did my COSRX White Powder cream, but the main part was cleaning them - which is what the Mia 2 did. 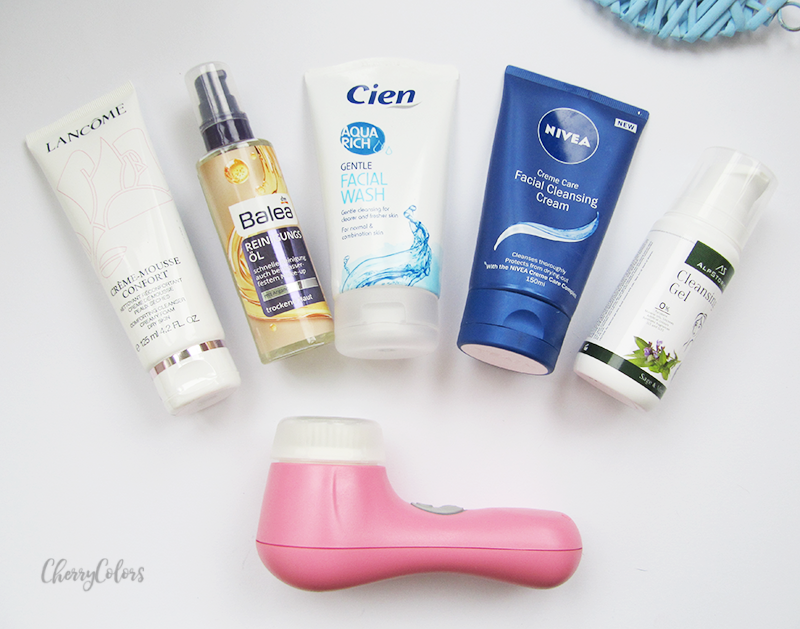 I tested it with several cleansers - from an oil cleanser, gel cleanser, cream cleanser, to the mousse cleanser. And you know what? It worked well with all of them. On the brush, it has a small hole (in the middle) where I would apply my cleansers and then use the Mia 2. + The timer! It shortly pulsates when you have to switch sides. Comes in handy. + It cleaned my pores! - if you have sensitive skin, you can overdo the cleaning (and thus peeling) with it. Considering the price it's a luxury that not everyone can afford. But is it worth the price? Yes and no. I think such products aren't to be used daily for us, that have sensitive thin skin, but for others that have no such problems, that shouldn't be an issue. So, the price tag? I'd buy it just because of how amazing the pulsating works for my skin - it cleaned my pores and just because of that, I'd totally buy it (if money wasn't an issue).